The incorporation of two 18O atoms into each C-terminus of peptides derived from proteolytic digestion of biological samples has emerged as one of the leading global labeling strategies used in comparative quantitative proteomics. 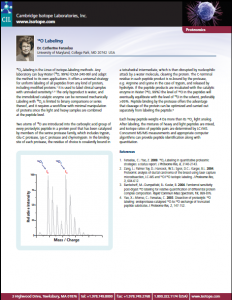 The success of the technique is due in part to the relative low cost of 18O water, the resulting +4 dalton mass increase in molecular weight for the “heavy” peptide, and co-elution of 18O/16O peptide pairs from reverse-phase HPLC. If you would like more information on this please don’t hesitate to contact us. 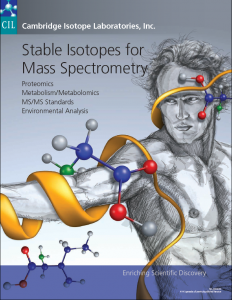 You can also find information on this application and related products in the Stable Isotopes for Mass Spectrometry catalogue below. There is also an interesting application note written by Dr. Catherine Fenselau of the University of Maryland.